30 January 2019, at 12:00a.m. The 4-year study, published in The Journal of Applied Poultry Research, looked at bursal tissue samples from IBDV-positive commercial broiler flocks in Brazil that had been immunised using one of three different IBDV vaccine strategies: a turkey-herpesvirus vectored IBD vaccine, an antigen-antibody complex vaccine or a conventional live vaccine. While half the IBDV-positive samples were compatible with vaccine genotypes (classic IBDV), as expected, the other half were classified as variant or very virulent field strains. However, Muniz adds, the frequency and genetic profile of the field viruses recovered - in other words, the incidence of vaccine, variant and very virulent samples from a particular flock - appeared to be highly dependent on the vaccination strategy that was used (Table 1). “This was especially clear with the group of birds that had received the vectored vaccine over a long period of time, in which we found a much higher frequency of variant or very virulent field strains,” Muniz says. In this group, 22 of 77 (29 percent) total samples tested positive for the field strain, compared to 5 of 105 (5 percent) for the immune-complex vaccine group and 12 of 64 (19 percent) for the conventional vaccine. Laboratory tests, such as serology and polymerase chain reaction with sequencing, are important, ancillary tools to assess whether field challenge is increasing and if there is a need to rotate the vaccine programme, he adds. “But after an extended time using a vectored vaccine and the same litter, a rotation may be necessary with an antigen-antibody complex or conventional live vaccine to replace field strains with vaccine strains - something that’s known as the ‘cooling effect’ of the broiler house. Bublot M, et al. Use of a Vectored Vaccine against Infectious Bursal Disease of Chickens in the Face of High-Titered Maternally Derived Antibody. J Comp Pathol. 2007;137:S81-S84. Le-Gros FX, et al. 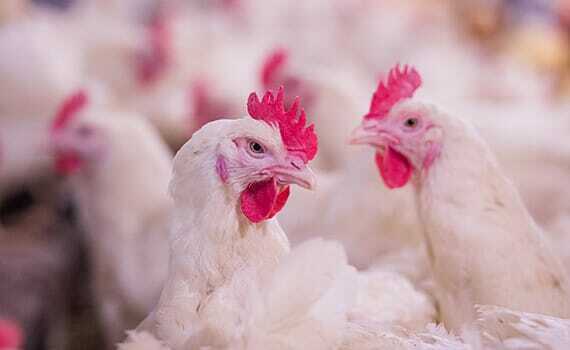 Field efficacy trial of a novel HVT-IBD vector vaccine for 1-day-old broilers. Vaccine. 2009;27:592-596.